NOW OPEN- New Arby’s Location at 473 West Calumet St in Appleton, WI! Visit our newest location in Appleton, WI at 473 West Calumet Street starting today! 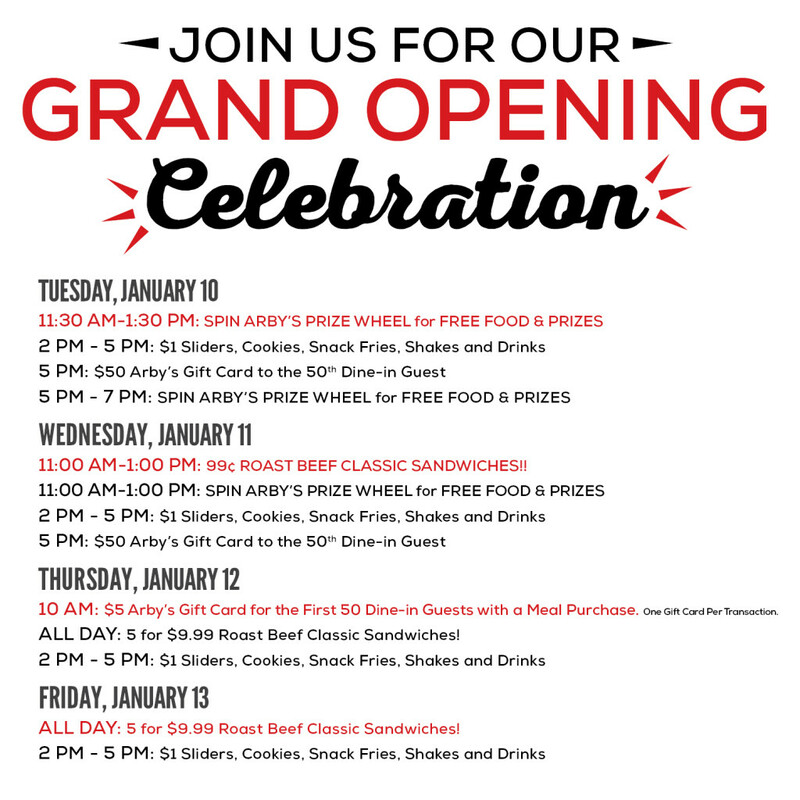 Come back to see us for food specials and prizes at our Grand Opening Celebration January 10-13!